Valid seven days a week through 10/9/18. Food and beverage credit is valid daily per room. Credit is non transferable and cannot be redeemed for cash. Any remaining credit after stay will not be refunded or reserved for any future stays. Offer cannot be combined with any other offers or discounts. Some restaurants may not be available for credit use. Limited number of rooms are available for this promotion. 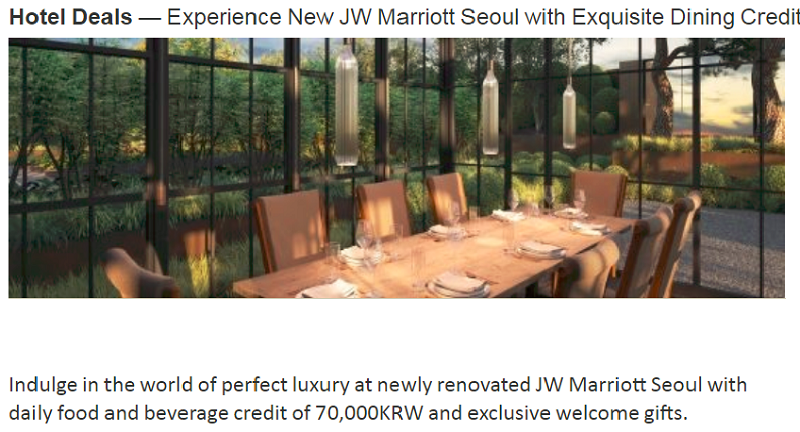 To receive additional Marriott Rewards points, you must register as a member prior to departure. Tax is additional . Offer does not apply to groups of 10 or more rooms. Offer cannot be combined with any other promotions. Blackout dates may apply. Advance reservations required. Other restrictions apply. Rates are per room, per night and based on availability at the time of reservations.